Dr. Mike has garnered the reputation of being an easy-going person who strives to work hard, do what is in the patient’s best interest based on his or her unique individual needs, and have a good time along the way. Part of what Dr. Mike loves about dentistry is the vast array of knowledge in the field. 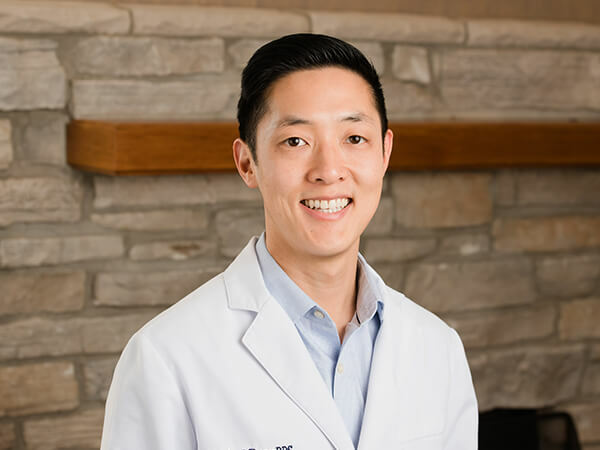 Through that passion, he has devoted hundreds of hours of continuing education in areas including cosmetic dentistry, orthodontics, endodontics, laser dentistry, and implant surgery and restorations. Like Drs. Anjali and Kevin, Dr. Mike is an active scholar of the Spear Center for Dental Excellence. He has also spent time working at a private practice in Colorado to receive additional training in implant placement as well as the use of digital technology to optimize dental treatment. He is excited and dedicated to use this knowledge to provide his patients with the care they deserve. Dr. Mike met Dr. Anjali in dental school and have been together ever since. They have been happily married since June 2015. Aside from the wonderful world of dentistry, Dr. Mike enjoys spending time outdoors by hiking, skiing, cycling, playing tennis, and golfing.